There has been a significant recent increase in the number of violent knife attacks in South London in recent days. Between the 25thÂ February and the 2ndÂ March seven young people, four of them in the Streatham constituency of Chuka Umunna, have been attacked and stabbed, one of them fatally. The teenager who died was stabbed at 17:50 on 2 March, reportedly after being chased by two men whilst with a friend. Earlier on the same day, at 13:15 a teenager was stabbed and left critically ill in Ernest Avenue, SE27. Five stabbings took place on the 25 February. At 02:50 in St Saviourâ€™s road a man received multiple stab wounds. Later that today at 16:30 one man was stabbed in Tierney Road whilst another was hit and stabbed in Streatham Hill. At 16:35 a man was stabbed in Streatham Place and at 19:45 another man was stabbed in Coldharbour Lane, SW9. Chuka Umunna is the MP for the Streatham constituency, where four of the seven stabbings took place. 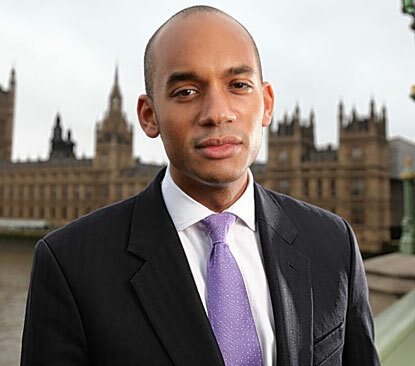 As Chair of the London Gangs Forum since September 2011, Chuka Umunna has been working with others in the voluntary and public sector to develop a pan-London approach to combating serious youth violence and gang involvement. â€œI am deeply concerned about the recent spate of stabbings we have had in my constituency and in Lambeth over the last fortnight.Â Yet again we see very serious violence and, tragically in one case, a fatality, amongst our young people for no purpose whatsoever â€“ it is totally unacceptable and we will not put up with it. â€œThere are no quick fixes to this ongoing problem but I am clear that all of us – politicians, the police, the local councils and voluntary organisations working with young people â€“ must strive even harder to work in a joined up fashion as a community to end this tragic waste of life and talent.Â This is why I chair the London Gangs Forum which works across London, bringing together all these stakeholders to exchange best practice and to bring more focus by central government on this issue. A New Hope for the Centre Left? Well done Chuka for speaking out for your community. The govt should be charged with aiding and abetting murder: nearly no youth workers left, nearly no youth clubs, no EMA, no jobs, slave labour workfare, capping housing benefit, the police getting away with murder, and still the 1% expect righteous behaviour?????? ?